Poster Silhouette of truck over sunset with helicopter. 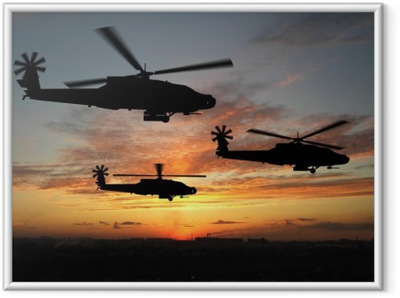 Framed Poster Photorealistic 3D render of Apache helicopter at sunset. Poster Front view of russian military helicopter.